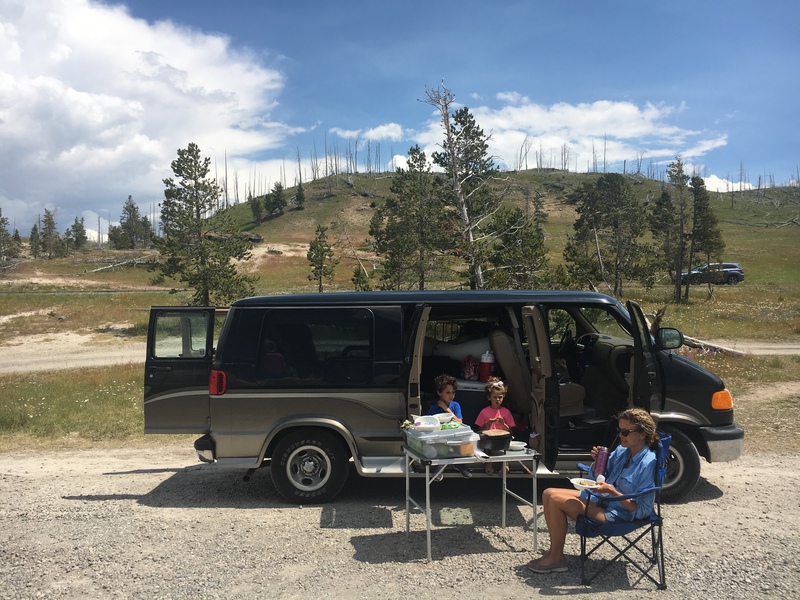 Beating the crowds in Yellowstone – not literally – Don't make me turn this van around! 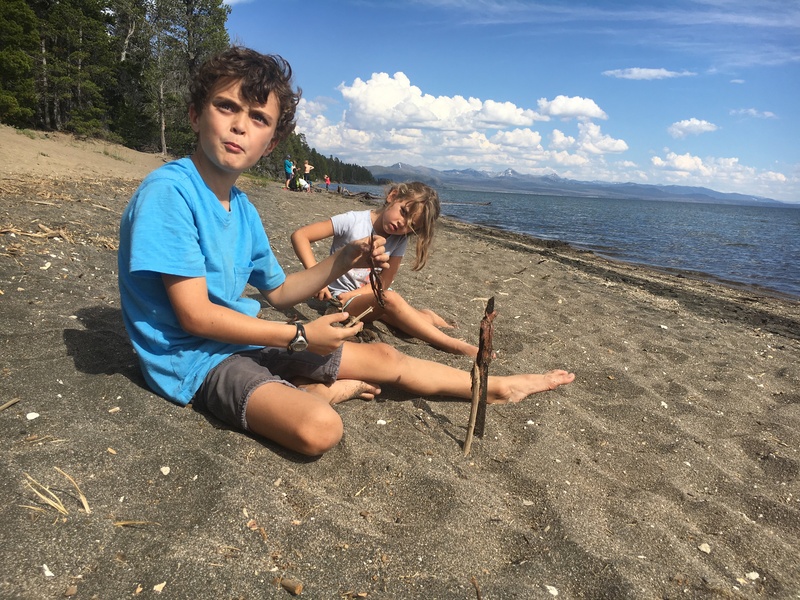 It’s hard to write about Yellowstone. Do you want me to tell you about grizzly bears? Didn’t see one. You want to hear about Old Faithful? Didn’t see it either. How about its majestic lodge? Sorry. If this had been the first stop on our trip, we probably would have done it all. But at this point, we aren’t really interested in crowds. So… visiting arguably the most famous national park in the middle of summer probably wasn’t the best place for us to go. So please don’t fault us if we didn’t cozy up with a thousand tour-bus riders and wait for the famous geyser’s once-every-ninety-minute eruptions. 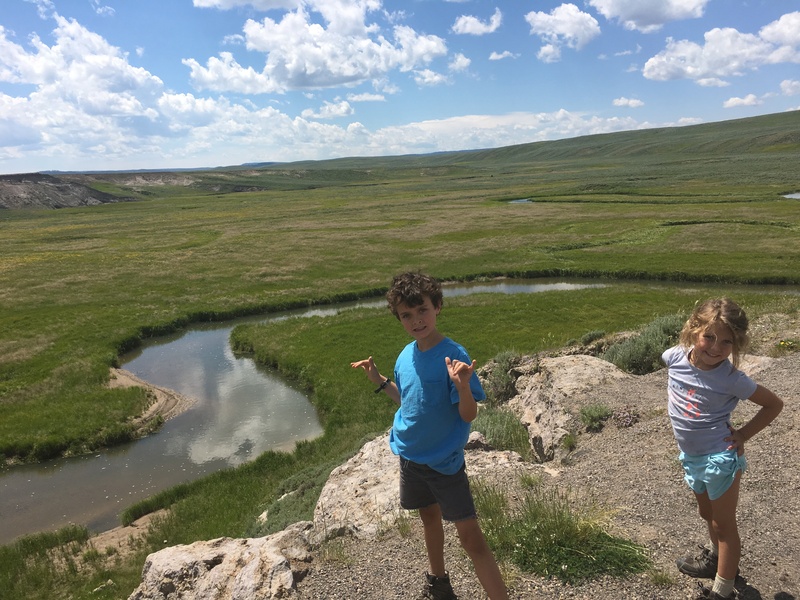 We were too busy enjoying the expansive valley, teeming with Bison, deer, and elk. 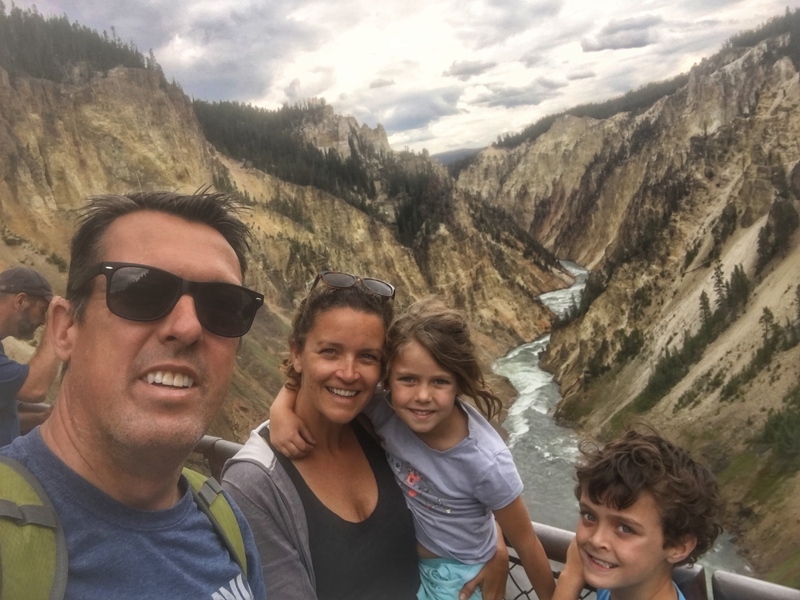 We lingered at the “Grand Canyon of the Yellowstone River,” marveling at the vivid colors. 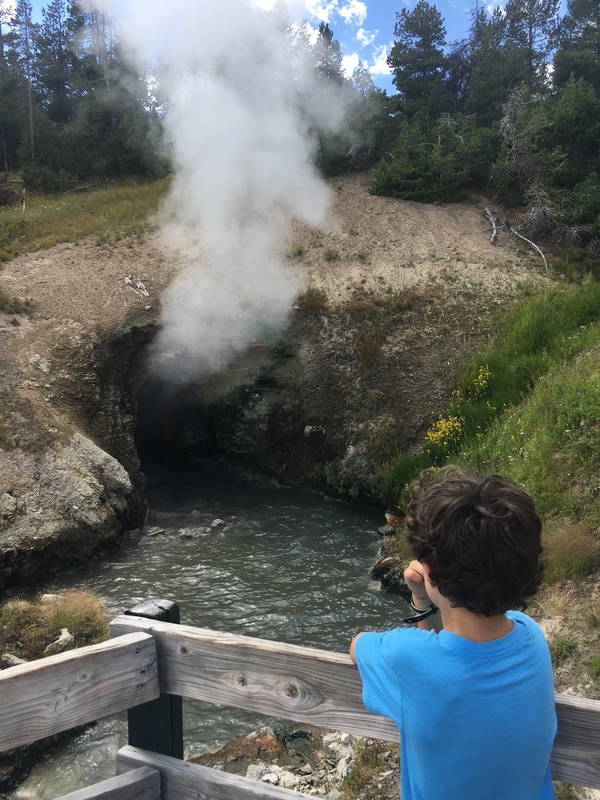 We didn’t have to wait 90 minutes to experience the bubbling cauldrons of mud that churn day and night. Top left: It looks like we’re standing in front of painting. Maybe we are. Middle: Monica eyes one of the many bison we encountered. Top right, bottom left: I should just name this blog “Pictures don’t do this justice…” The views are unreal. 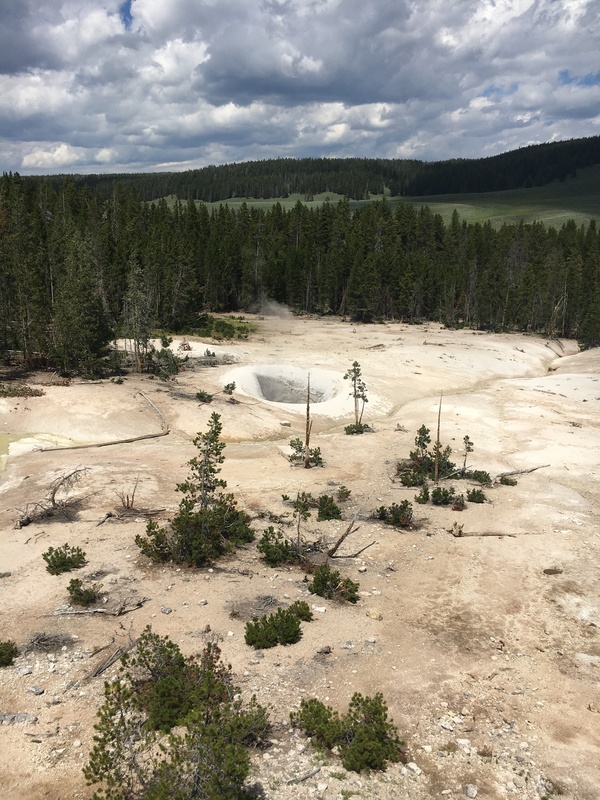 Bottom right: Who’s idea was it to put a National Park in the middle of a supervolcano? 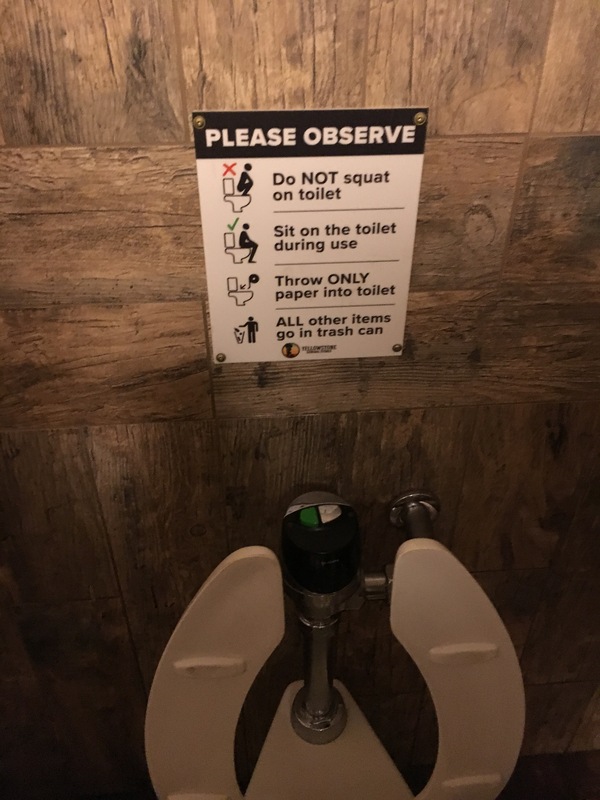 Top left: It’s not a National Park without amusing instructions on how to use a toilet. I can think of a few places in Florida these signs might come in handy. (Our house being one of them.) 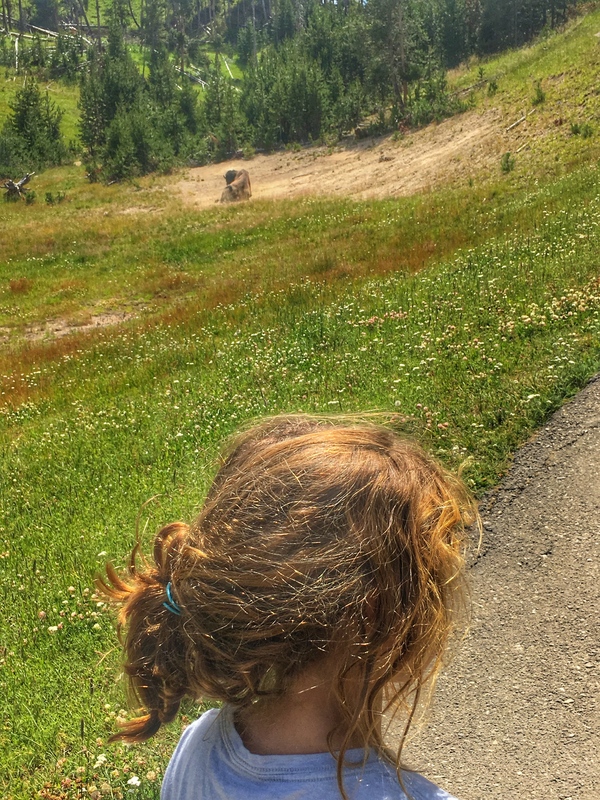 Top right: You can tell who just arrived in the park – they are the ones who slow down to see bison. After about a day, you realize that they are as common as cattle. 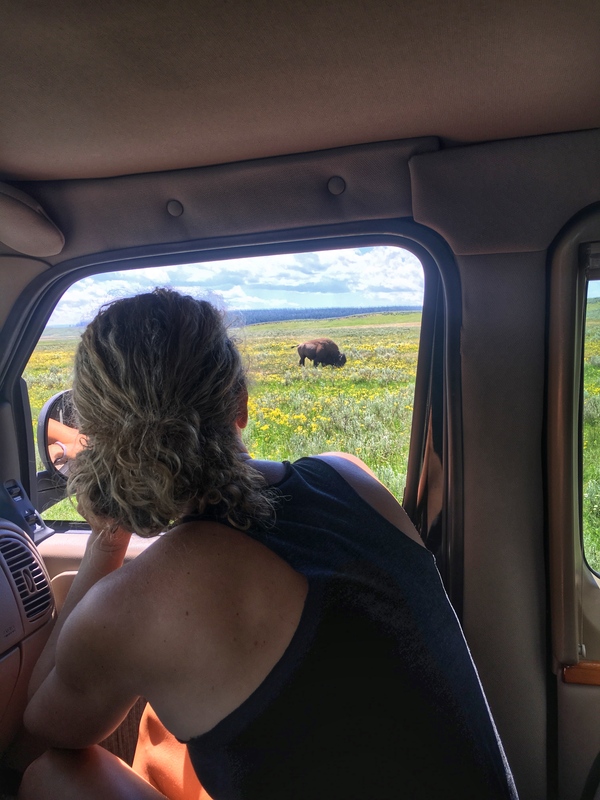 Bottom: It may be possible to get used to seeing bison, but the views never get old. 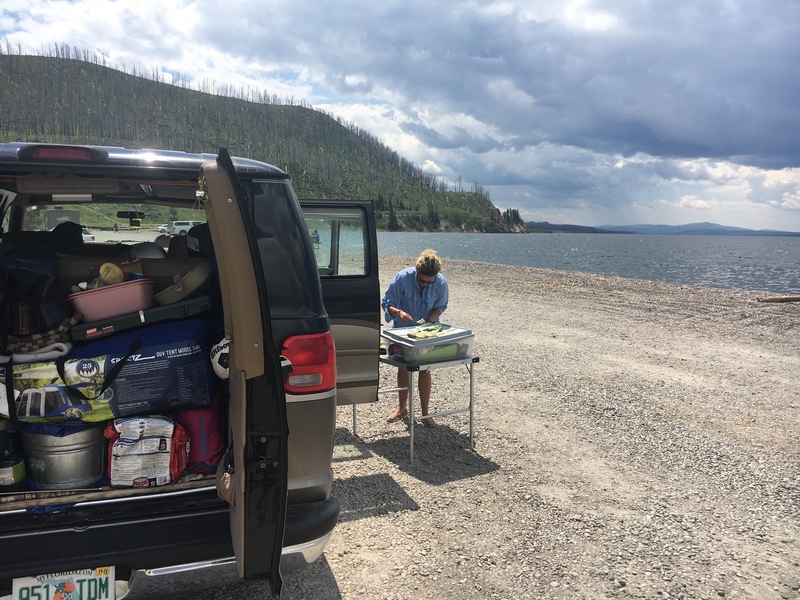 We stayed in the Canyon Campground in Yellowstone. The campground itself wasn’t much to write home (or blog) about. But its proximity to the “Grand Canyon of the Yosemite River” is its top feature. 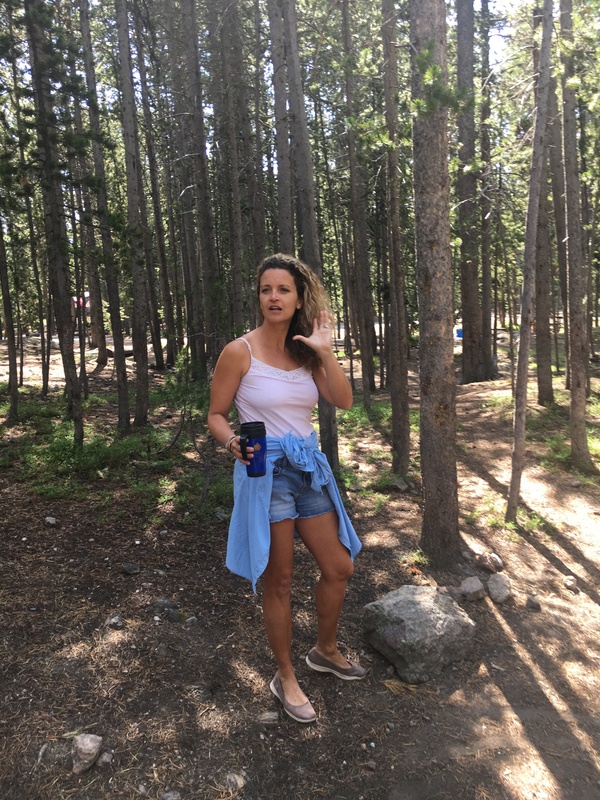 A ranger showed me a video on his phone that his wife took of a grizzly in the region – which is as close as we got to seeing a bear. He didn’t understand my joke about culling the size of our family down by heading out to a section of a park that Atlas Obscura points out has murky legal jurisdictions where it may be possible to get away with murder. At this point of the trip, jokes about killing each other don’t seem unusual to us, but can startle civilized people. 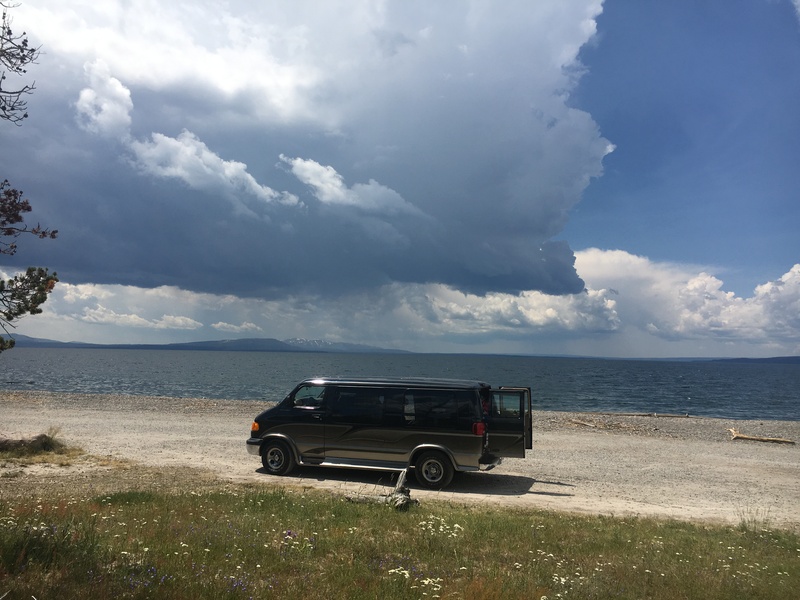 On our last day, we had a picnic on the shores of Lake Yellowstone, just as a thunderstorm was rolling in. An hour later were driving through a hail storm as me made our way east through the Shoshone River Canyon. 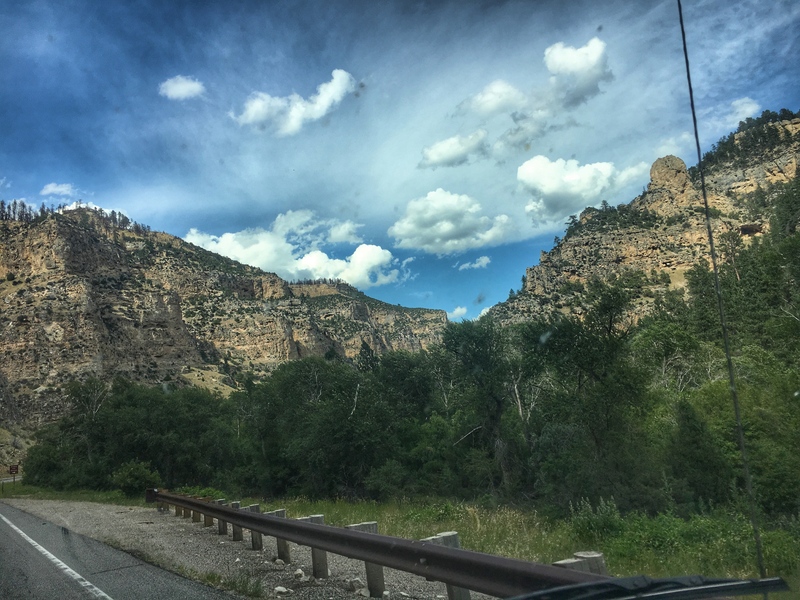 The outstanding campsites that we had in the Smokies, Oklahoma, Ghost Ranch, Mesa Verde, and Yosemite definitely spoiled us. We had some noisy neighbors who were in Yellowstone on some sort of summer job. They quieted down after I (to Monica’s amusement) spoke them gruffly at midnight of our first night. (I might have dropped a surly “y’all” in there and forgot to say “please.”) They weren’t a problem after that. We broke camp a couple days early, eager to change settings. As I was in line to check us out, I overheard a man lamenting that he needed a campsite for two nights, so I made his day and gave him our space. 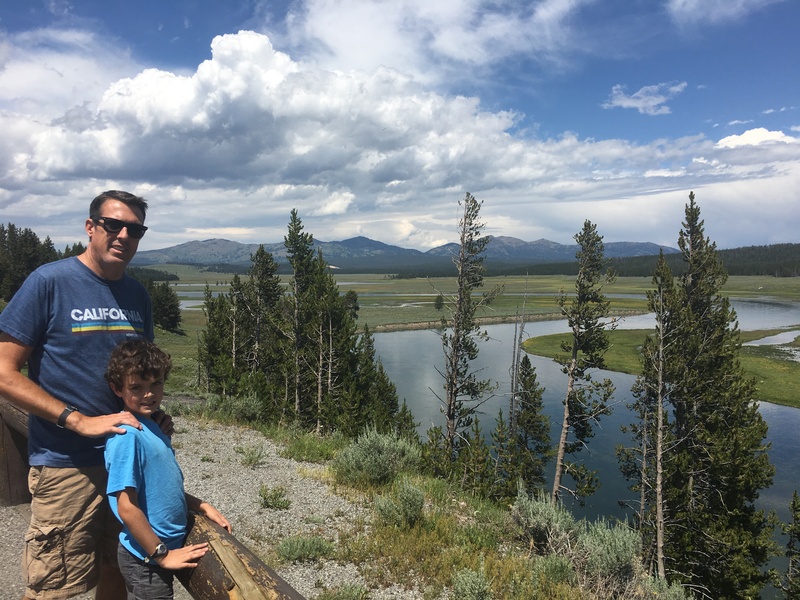 I might say that the drive out of Yellowstone was the most beautiful of the summer… but a few hours later we drove through Ten Sleep Canyon in what had to be the most surprisingly spectacular and fun mountain pass to drive a big van through. The weather was crazy, or we might have made camp in the shadows of those walls. 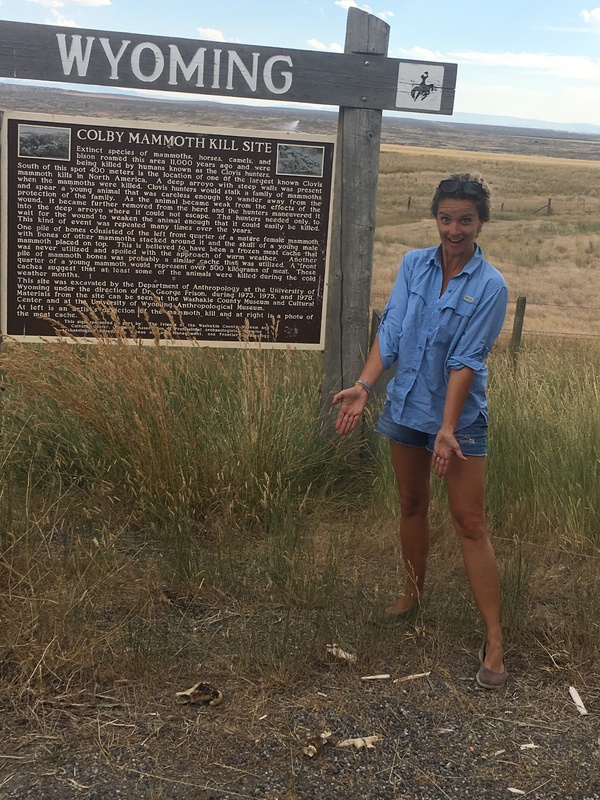 Left: It’s hard to know which of the thousands of historic makers and “points of interest” to pause for, but the Mammoth Kill plaque with the giant roadkill bones beneath it were worth the look. Top right: So… we learned in Oregon that “Scenic Byways” are required to have non-reflective guard rails to make the drive more attractive. We felt Monica should strike a pose to make Ten Sleep Canyon even more attractive. 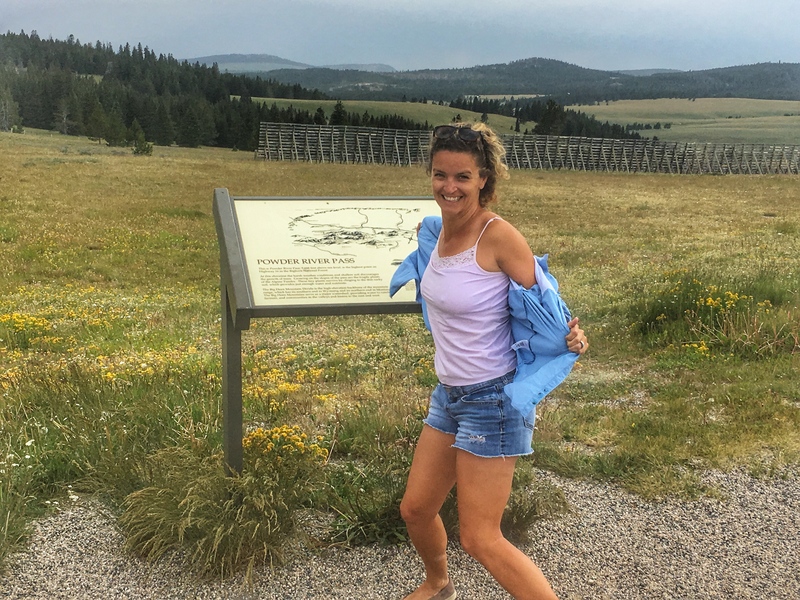 Bottom right: At the top of the Powder River Pass, the wind was so strong, she attempted to fly. We’re at 9,666 feet – note the snow fencing. Left: When I graduated from high school, I won a $1,000 scholarship from Ready Freddy Food and Gas Store. The gas station got its name from a male poodle that was always ready to… well… mate. 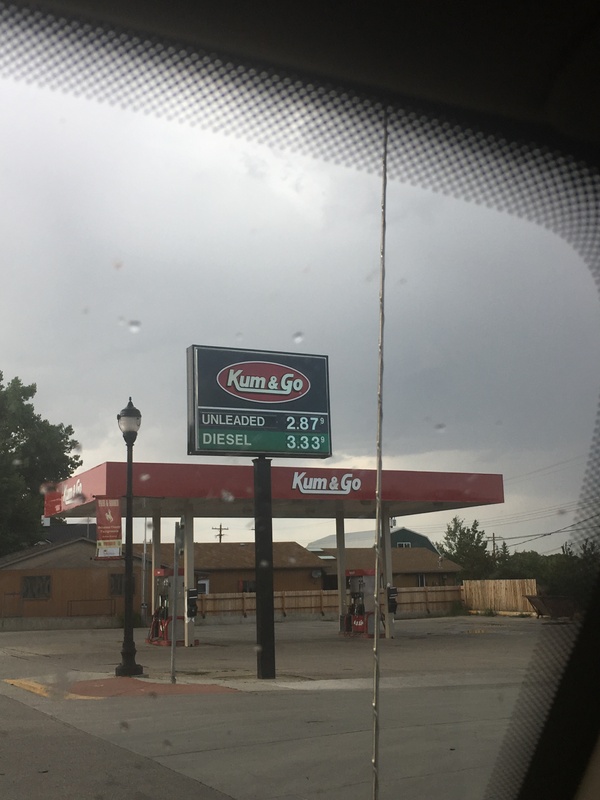 It seems mine wasn’t the only small town with amusingly named gas stations. 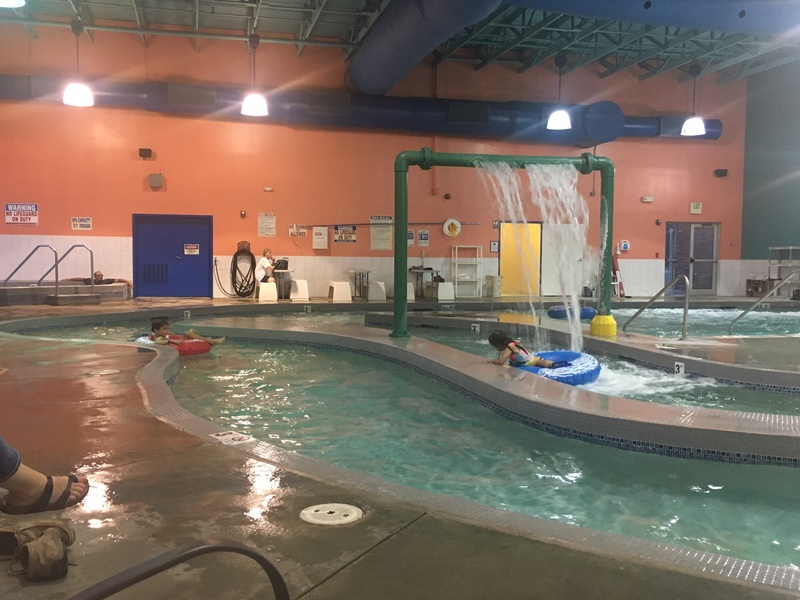 Right: The Country Inn and Suites in Gillette, Wyoming, featured an indoor waterpark. I’m not gonna lie… it was a nice perk. Don’t skip the less famous sites. There are muddy springs bubbling with sulfuric gas everywhere. It’s really remarkable and otherworldly. The diner at the Canyon Village is a charming departure from the “theme park” fare in some other National Parks. Plan for mosquitos. It’s not as bad as Florida. These mountain marsh mosquitos are fatter and dumber than Florida’s clouds of stealthy little monsters, and their bite had no effect on me. I only mention it because it’s the buggiest place we visited in all of our travels. Showers! A National Park campground with showers! On the downside, Monica didn’t get to set up her”hazmat” scrubbing tent.